An intruder was arrested Thursday, Jan. 3 for entering a home in the the southeast part of Clovis. After receiving a call around 10:15 a.m., Clovis Police officers responded to the residence in the 3200 block of Monterosa Lane where it was reported that an unknown male had opened the front door and walked into the home before being forced out. Upon arrival, police observed the suspect walking away from the area. Officers soon catched up to the fleeing suspect and detained him after a brief struggle. 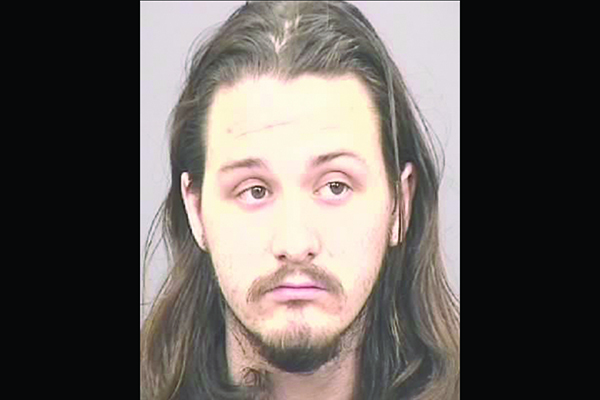 Police identified 21-year-old Hunter Attebery of Hanford as the suspect. After a positive identification from the victims, Attebery was placed under arrest for residential burglary of an occupied dwelling and resisting arrest. He was transported and booked into Fresno County Jail.